God is a scientist. He is essentially a genetically advanced human from another planet; an alien. In fact, you could say we are all aliens. God is the next stage of our human development; our evolution. We can become like Him, but first we must learn of Him, and all He would have us do to return to live with Him as Exalted beings. We learn in Genesis chapter 1 about the Creation. People say that it cannot truly have happened because the Bible claims God created the world in six days. We think of days being measured by our earth’s rotation on its axis. For us, that is 24 hours. For God on His planet? His measurement of time will be very different to ours. Also consider the phrases, ‘back in the day when I was a child’ and ‘in the day of the dinosaurs’. Were you a child for one single day? Were the dinosaurs alive for one single day? No. I did not think so. So, if we go back to the premise that God is a scientist (he has to be, he is all knowing after all), then we can look at the Creation in a different way. There was a Divine order to the Creation, it is essentially terraforming a planet. You need day and night. You need an atmosphere and water. Then you need dry land amongst the sea. Next comes the plants and then the sun, the moon and the stars. Only after all these things, does God create the animals and finally the humans. These stages would not all take the same number of ‘days’ as measured by humans. They will have taken as long as they needed to take in order to create a sustainable ecosystem for us all. Each creation that came next added to the creation that came before it. If we work backwards, it was essential that before humans were created we have animals. Certain animals are for food as well as / or for labour (when used ethically, responsibly and respectfully of course). In order to have both animals and humans, there must be a breathable atmosphere for those animals to grow and multiply. The sun, moon and stars give light and provide a measurement of time and seasons for the humans who are yet to come as well as the wake and sleep cycles of all living things. With plants it is photosynthesis and respiration. You need plants to grow and photosynthesise, which produces oxygen, to have a breathable atmosphere for animals and humans. In order for plants to grow there must be first fertile land and water for nutrients and hydration. To separate dry land from the ocean, one can assume there were volcanic eruptions that must have caused layers of lava to cool down and build up above the level of the sea. Volcanic eruptions leave smoke, dust and debris in the atmosphere for any given length of time. They produce toxic gases that humans and animals cannot breathe in. So naturally, they will all need to be cleared up before we came to the earth. Volcanic soil is very fertile. Ash helps to fertilise the soil. Plants take in carbon dioxide and produce oxygen. You need the sky and the earth. Day and night. Light and dark before any of these can be accomplished. These are the foundations of creating a planet and her inhabitants. Okay, but how is this all possible? We don’t know. We don’t need to know everything. But, if God is a scientist, and He is all knowing, it stands to reason that He knows everything our most talented scientists know and then some. And by some I mean a lot. He would have to have an intimate knowledge of all sorts of sciencey stuff that I don’t know anything, or very little, about. He would know about atoms and electrons. The chemical equations necessary to rearrange and shape matter into any form He desires. He would be able to rearrange the electrons so they are now different atoms, joining to form different molecules. All of this using the power of His mind, because He knows everything and is all powerful. If we use the same logic that what came next in the Creation only added to the stages that came before, and are vital to the ecosystem, can we not assume then that Eve was of the utmost importance to our existence? Because she came last, she was the last form to be created and she was the one who recognised that the tree of knowledge of good and evil was necessary in order to fulfil the command to “be fruitful and multiply”. Just as we do not know how long each individual stage of the Creation took, we don’t know how long Adam was in the garden of Eden before Eve was created. We also don’t know how long they were in the garden before they ate of the fruit of the tree of knowledge. The scriptures are an abridgement of history. They do not tell us every single second of every single day. They condense the information down into the key concepts, the key moments in history. Otherwise, if we were to read it all, we would be reading forever, and forever doing nothing but reading. Also, there will be errors in translation. The nuances and the meanings of certain passages, will have been lost due to an incorrect understanding of the language and therefore a mistranslation, and ultimately the loss of precious truths will occur. We also do not know if Lucifer had made multiple attempts at convincing our first parents to partake of the fruit. Perhaps he did. Perhaps he did not. But if he did, perhaps he tried multiple different ways to convince them. Perhaps each time he tried, Eve became more and more aware that this tree and it’s ‘forbidden’ fruit was actually necessary to fulfil their first command. Adam and Eve were both given the command “Be fruitful, and multiply, and replenish the earth…” (Genesis 1:28). In Genesis 2:7 we learn that God formed Adam first. Sometime later, (in Genesis 2:21-22) He creates Eve. But in between these two events, God commanded Adam not to eat of the fruit of the tree of knowledge of good and evil (Genesis 2:17-18), Eve was not yet present. “And God said, Behold, I have given you every herb bearing seed, which is upon the face of all the earth, and every tree, in the which is the fruit of a tree yielding seed; to you it shall be for meat.” He said every tree. Does God contradict Himself? Perhaps it would appear that way to our mortal minds. But, going back to the stages of terraforming our planet, He did everything in the order that would be of the most benefit for our ecosystem, and therefore us as humans, to thrive. These stages took various lengths of time. So, it stands to reason then, that yes Adam and Eve can eat of the tree of knowledge, but there was a time for it to happen, it was not at that moment, and therefore the command not to partake was given. Also consider the significance that Eve was not yet formed in flesh when Adam was commanded not to eat. We do not know, but can only speculate, that perhaps the command was only meant for Adam. Why? Because man is the bridge from heaven and woman is the gateway. In other words, man provides the other half of the genetic material to the woman, but ultimately, it is through her body that this new mortal flesh can gain entrance to earth (as mentioned in my post entitled, Man and Woman As Mirrors, As Equals). Eve was predestined to become the Mother of All Living (Genesis 3:20). She was to be the literal eve of mortality; the one who ushered in this new chapter of our lives. It would make sense then that she must be the one to eat first. Eating of the fruit of this tree was the gateway into Adam and Eve’s mortality, and therefore the gateway through which our spirits, waiting in heaven, could come to earth and live as mortal beings of flesh and blood. The death spoken of by God to Adam, in reference to the consequence of eating from this tree, was firstly a spiritual death (meaning they were cut off from the presence of God; they could no longer walk and talk with him) and secondly a physical death (they were to become mortal). An immortal being cannot give birth to a mortal one. But, as with the Creation, there will be a period of time between the spiritual death and the physical death. Otherwise, there will be no point in assigning Eve as the Mother of All Living if she were to die immediately after eating the fruit. But what about Lucifer? Surely Eve was tempted? God saw and Eve saw. To see something, in a non-visual sense, is to recognise, to know, to realise whatever something is, in this case good. Everything God created in the garden was good. Everything had a purpose. The only one in the garden that did not have a physical form, and therefore was not good, was Lucifer. God is all powerful. He is all knowing. So if He chose to, do you think he could chuck out Lucifer the second he got in? Actually, better question, do you think Lucifer would be capable of entering the garden, in the first place, if he too did not serve a purpose? As we have learned, in The Road So Far, there is opposition in all things. How can we know what happiness feels like if we have never been sad? We cannot. Perhaps, Adam and Eve would have remained in the garden forever if Lucifer had not tried to interfere with God’s Divine plan. They were innocent, in the sense that they did not know right from wrong, good from evil. How could they, when everything in the garden was only good? They needed that opposition, the catalyst, in order for their minds to be challenged. Yes, God could have told them everything. But then they would not have learned anything. They would not have grown and developed intellectually. Lucifer is evil. But he was also the catalyst that helped Eve to recognise the necessity for eating of the fruit. You need both sides of the argument to make a better informed decision in anything. Adam and Eve did not sin when they ate the fruit. It was a transgression but it was not a sin. A sin can only occur if one knows the difference between right and wrong, good and evil. In the garden of Eden, they were innocent in this sense. They knew no good for they knew no evil. Or in other words, they could not differentiate between the one without having first experienced the other. But what about the curse given to Adam and Eve? You wanna know something? I never really read the Creation story without noticing this key wording. The serpent in this context is the devil, or Lucifer. It was Lucifer who was cursed. Not Eve. The enmity (active opposition / hostility) is between Lucifer and his seed (those who follow him) and Eve and her seed (Jesus Christ). Not between Adam and Eve. God is informing Eve the nature of her role as a woman. Now that she is mortal, her body will experience the pain and discomfort that is associated with pregnancy, labour and childbirth. This is not a punishment. This is actually essential for the health of the baby. To multiply something means to increase it. She will have many children. Sorrow in this context is the pain and hard work that is needed to bring forth a new life into the world. Desire is a strong longing for someone or something. If Eve is meant to desire her husband, then it is talking about her love for him, her fidelity, she needs to be faithful to him. Through their love they share each other’s lives. A synonym of to rule is to preside. If one presides over something or a group of people, they are essentially the spokesperson for the group, they are the leader. But this does not make the others any less important. A true leader takes into account what every member of the group has to say and then together they decide on the best course of action for their common goal. If God created man and woman to be equals, then this is the only logical interpretation of this statement that Adam will rule over Eve. Perhaps it was simply mistranslated and a better way of putting it would be “and he shall rule [with] thee”? In verse 17 God has cursed the ground not Adam. He specifically says “cursed is the ground for thy sake; in sorrow shalt thou eat of it all the days of thy life”. Sorrow again means to work. He must now till the earth so he can feed himself, his wife and then his future family. Before God sent Adam and Eve out of the garden of Eden, He clothed them with skins. At first, they had aprons sewn of fig leaves, when they realised they were naked (Genesis 3:7). But leaves would not have been appropriate for the harsh world that they were going to be living in. Skins would keep them warm. They would be less likely to rip and tear. They would be thicker and so they provide protection from the elements. Does this not attest to a loving and kind Father who is helping his children? Who wants them to survive and thrive in the newly mortal world? And finally, in the garden of Eden story, we have the tree of life (Genesis 3:22-24). Adam and Eve were not allowed to partake of this fruit because it would have given them back their immortality. There is a time and a season for all things. The world was created in six periods of time. 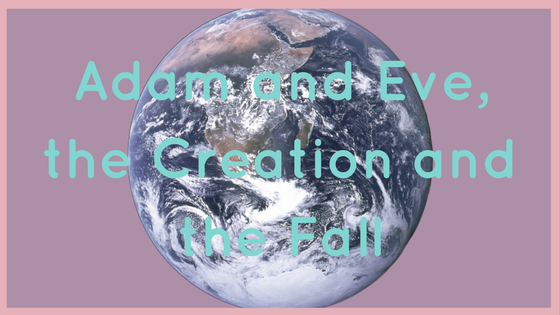 Adam was created and then alone for a period of time before Eve’s creation. They were in the garden for a time before they ate from the tree of knowledge, this brought on spiritual and eventual physical death. But before they could regain immortality, first they had to bring forth children into the world. They had to raise and teach their children. They had to learn how to fend for themselves and to grow and develop as people that they could only do without being in the presence of God. A great book to read is Beverly Campbell’s book titled: Eve and the Choice Made in Eden, it goes into much more detail than I have done about the Divine mission of Eve, and it is where I got my information. What a wonderful woman was mother Eve! Thank you for sharing your thoughts and knowledge about her and her divine role.